Yes, today’s indie nonsense is about Mudhoney 😀 . 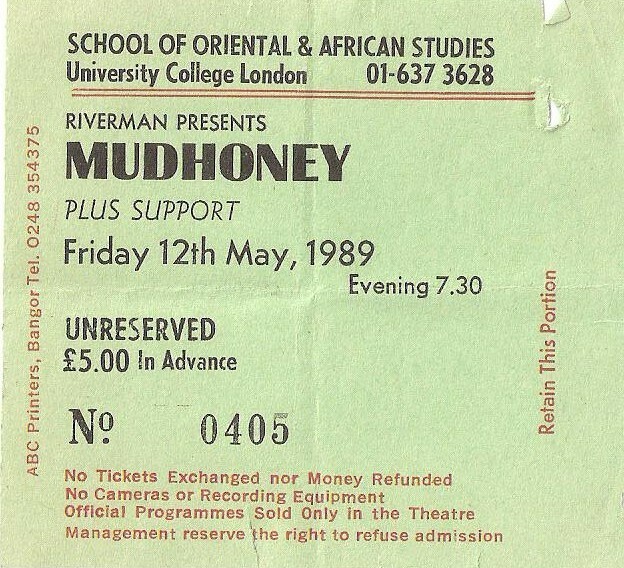 Back in 1989 the lovely Mudhoney (named after a Russ Meyer film, fact fans) played a gig at SOAS. Mudhoney gigs were well known for their…shall we say…joie de vivre and this one lived up to that, and plenty. As I recall, they came on stage and started playing the first song, part way through Mark Arm (the lead singer and guitarist) stagedived into the audience, crowdsurfed for a while and then, after some time actually, managed to get back onto the stage. After they’d finished that song, he said (words to the effect of) “we’re not playing another song until you all come and join us onstage”. Being jovial types, the audience duly obliged. I was near the front (in the stagediver landing zone as usual) and so was forced up onto the stage by the crush from behind. I should say that although this was ABSOLUTELY HILARIOUS, it was also slightly alarming, especially when the front of the stage collapsed. I don’t know what the stage was made of, but I have a hazy recollection of the front of it being like tables or a sort of fairly flimsy platform. In any case it wasn’t up to the weight of half the bleedin’ audience. Anyway, this was reported in the inkies as a ‘riot’, but I can assure you that this was definitely not a riot (except in the sense of its being ABSOLUTELY HILARIOUS). Let’s just call it youthful hi-jinks. This is the ticket from that fateful gig. The next awesome gig at SOAS was Nirvana (I’ll post some indie nonsense from that gig another time), then Fugazi were supposed to be playing, but it got cancelled and I think that SOAS had had enough and stopped having gigs after that. P.s. having checked in my old diary, it seems that on the night when the Fugazi gig at SOAS was cancelled, I went to an alternative just down the road at ULU: The Pastels, Ride, Teenage Fanclub and Pale Saints! What a line-up! P.p.s. I know a riot when I see one. I once spent ALL BLOODY DAY trapped behind a hedge in a Notting Hill front garden as a proper, nasty riot raged in the streets outside. I was about 7 and I was dressed as a fairy. 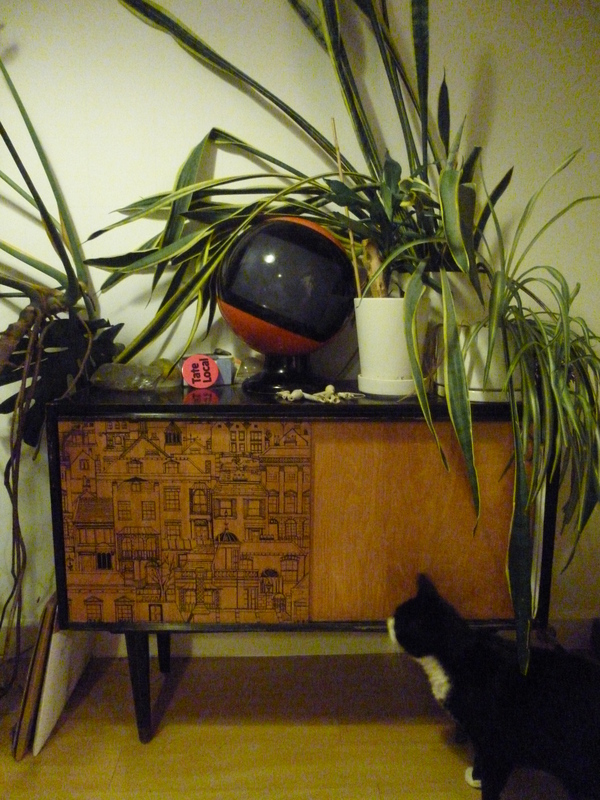 This entry was posted in Music and tagged indie nonsense, Mudhoney, Riot/not riot. Bookmark the permalink.